Alikanas (Greek: Αλικανάς) is a village in the municipal unit of Alykes situated on the northeastern coast about 10 km northwest of Zakynthos (city) on the island of Zakynthos, Greece. It is situated 1 km (0.6 mi) from the neighbouring village of Alykes, on the Ionian coast. 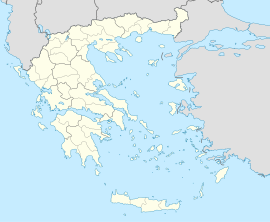 It is 3 km (1.9 mi) northeast of Katastari, 3 km (1.9 mi) northwest of Ano Gerakari and 12 km (7.5 mi) northwest of Zakynthos city. The village suffered great damage from the 1953 Ionian earthquake. This page was last edited on 12 July 2018, at 23:02 (UTC).